I am a big fan of node.js, socket.io and a long list of other node modules, as you might have known through my News Board app. While working on a html5 charting project a few years back I discovered flot which I also became a fan of. I started a few weeks ago working on a real-time charting app with the technologies I just mentioned, by plotting some randomly generated numbers (streamed through socket.io) with flot. 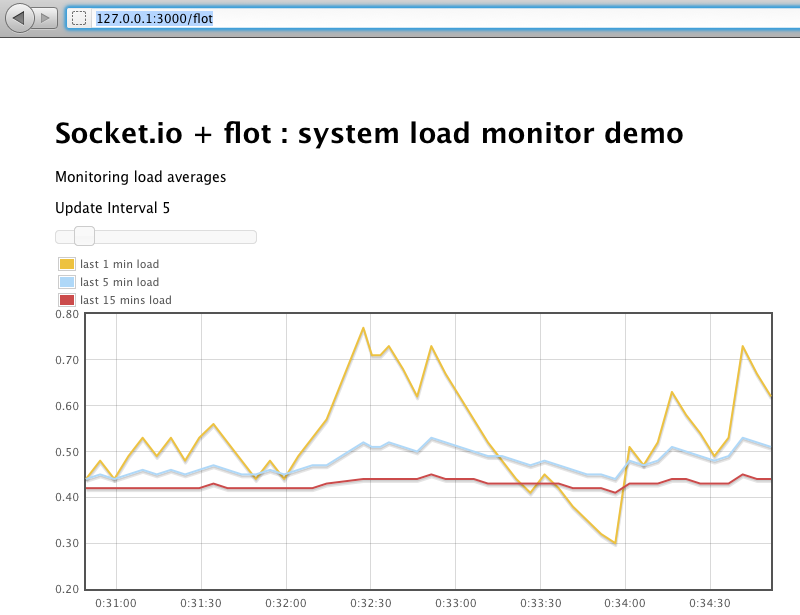 Today I just changed the app by using real data – system average loads. Check out the project at github if you are interested in. My next goal is to use Redis to handle the data captured. [update] A new branch using Redis as data store has also been implemented. A couple of plugins that make web developing life easier.